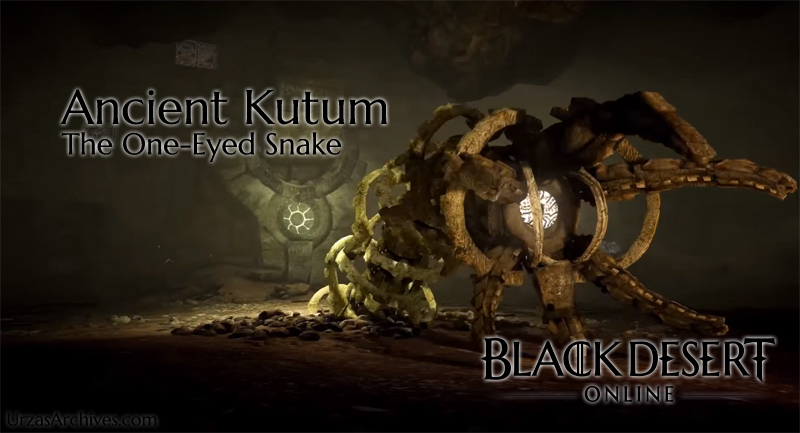 The fight against Ancient Kutum is like no other current bossfight in Black Desert Online. There is no hidden mechanic within the encounter and the whole fight is based on your skill, your reaction and on your equipment (yet it is no gear check). Once you understood his attacks and have learned his pseudo pattern fighting Ancient Kutum is a great experience that actually makes a lot of fun (imho). Fighting Kutum needs some preparation. First, as the fight is “in the desert” you will need Purified Water and Star Anise Tea to remove the occasional debuff. You can also use the Desert Ghillie Suit or the Desert Fox to prevent the debuff from occurring. You should also buy quite a few HP potions, while all attacks could theoretically be dodged some of his AoEs are quite fast and it is most likely you will be hit now and then. The elixirs of choice are def. Elixir of Will (reducing damage received) and Elixir of Frenzy (+20 AP / -10 DP) to boost your damage. I highly recommend at least 200 DP and more than 2,000 Life – better 250+ DP and more than 2,500 Life due to the high damage potential of his attacks but it is theo. 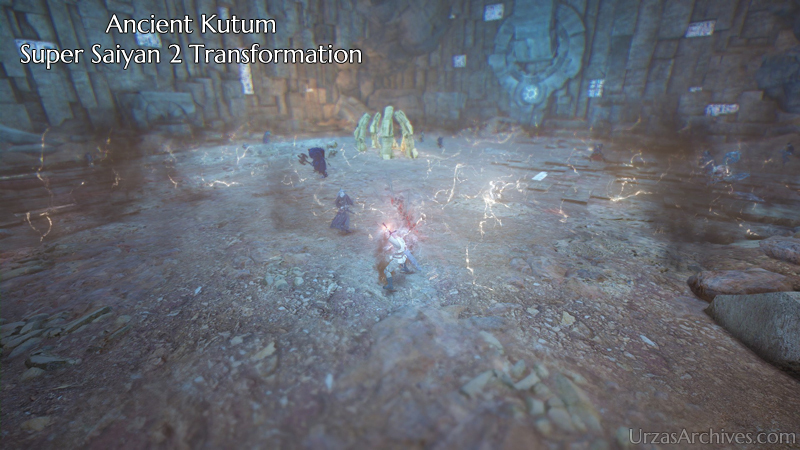 possible to fight Kutum with less than 2,000 HP and basically no DP as Witch/Wizard if you have really fast reaction times (did it deathless with 2,2k HP and 123 DP). Kutums basic ranged attack. He will spit on his target if it is out of range – to “outrange” his melee attacks you basically need to stand at the walls over the cavern. It deals medium damage. 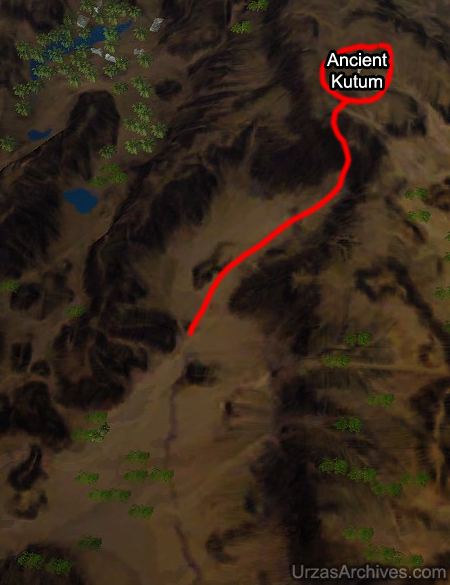 Running line of sight will not stop Kutum from attacking but will negate all of the damage if you are line of sight BEFORE he starts the spit animation. This is Kutum basic Melee Attack. It is a multi hit attack and the first hit deals most of the damage. With less than 150 DP this attack can easily deal more than 2,000 damage. 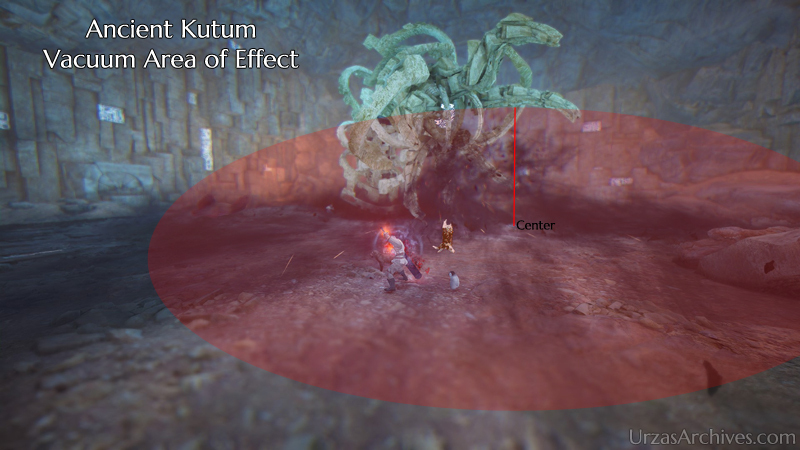 Before every Cleave Kutum will announce the direction of the hit with an animation. The cleave will cover ~70 degree. The damage will hit between the start point of his “eye” and the end point. As he is somewhat pent-up before the attack starts the area of damage is not the area his body will touch. In other words the damage starts further than it looks like and ends earlier than anticipated. I have to mention that the first hit of this attack also stuns / stiffs – if you cannot dodge the initial hit you will take all other hits as well. 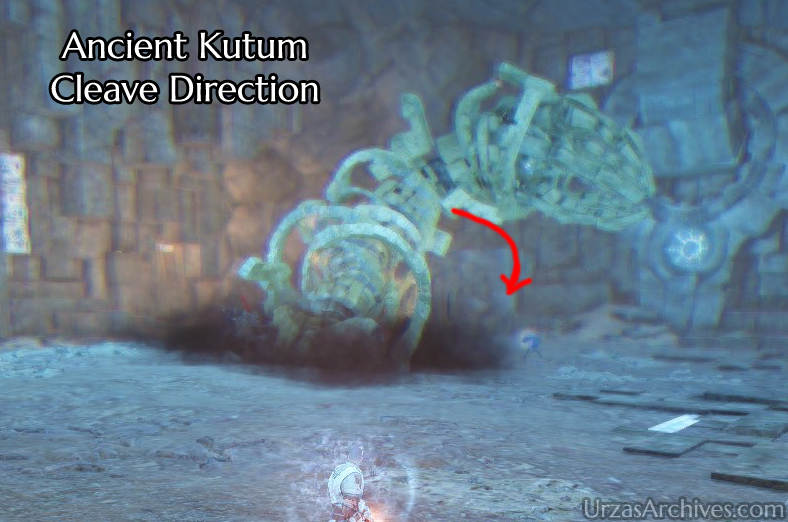 Kutum will burrow himself to jump twice out of the sand to attack his targets. This attack deals extremely high damage combined with a knockdown in a huge area around his emersion and submerge spot. There are two things that will help you against his Burrow. Classes that can block can basically idle on the spot. Your block will trigger regardless of the direction, however it will deal minor damage if you do not face Kutum straight on but it will not kill you. The other option is to reduce your graphic into optimization mode +upscale. With this you will see Kutum “running” around while being burrowed allowing you to react before he attacks. If both is not working for you try to run out of the chamber until he finished his attack. After Kutum used his Burrow he will emerge in the middle of the room dealing medium damage around him. Kutums strongest and most annoying attack. Gladly it has a fairly long charge/preparation animation. Please note that this attack is a huge range AoE attack below the center of his head, just standing in Kutums back will not outrange you. The first hit of the Vacuum will deal by far the most damage. If you cannot outrange this attack block or dodge the first hit to survive – blocking is the better and safer option as melee. 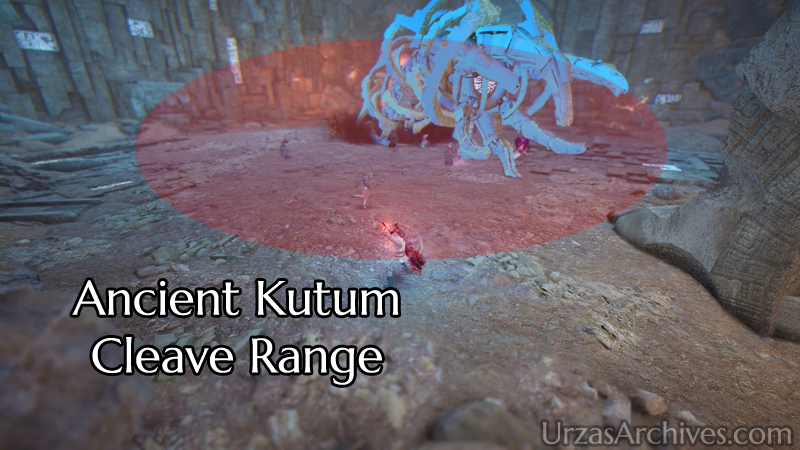 Once Kutum has reached less than 50% HP he uses his Burrow. Instead of the small AoE he uses on his normal Emerge he will emerge and transform into a Super Saiyen 2. The actual transformation will cause the whole cavern to be damaged by lightning. You can either use your block (if your class is featuring one) or you can simply run out of the cavern. He will stay in his transformation until he is dead – all of his attacks will deal more damage from now on and he adds the Lightning Explosion to his attack pattern. Once Kutum goes Super Saiyan 2 he will very occasionally (1-2 times per fight) use this huge AoE attack which will basically cover the whole room but a small area around him. 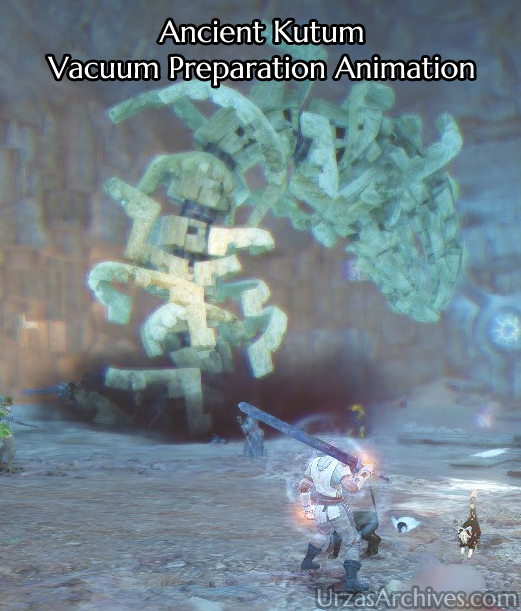 As the animation is different than the Vacuum or Cleave attack it is pretty easy to see and therefore to dodge. 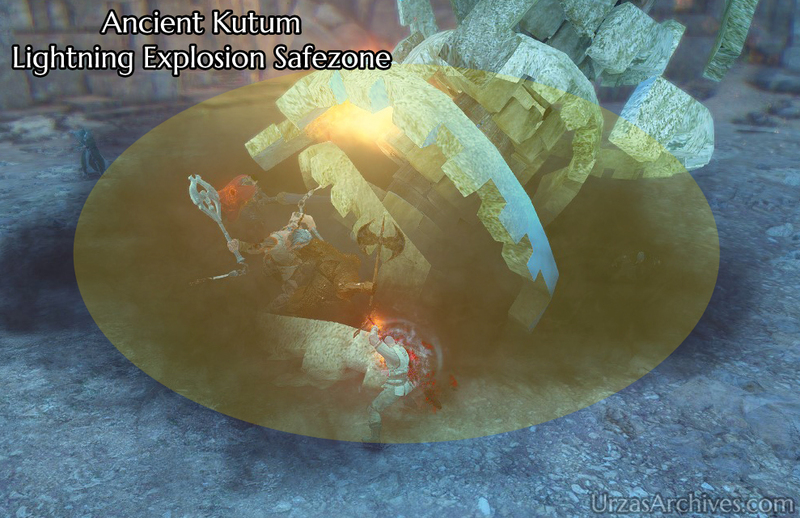 Kutum has a rough two seconds time window between each attack. This is important to know as you are able to do 2-3 attacks before you have to worry about his attacks again. Using a class with block will make this fight much easier. As Witch/Wizard/Ranger you should either try to be at max range or in melee range but never between those two positions. Don’t give up! Kutum is a fight that needs control over your character as well as knowledge about his attacks. You should always have enough time to react accordingly to the situation, and those will get better over time. Your basic dodge (Shift + A/D/S) is an iframe in PvE. If timed right you can negate 100% of Kutums attacks but the timing is a little bit earlier than the animation. +5 Movement Speed will help you a lot in this fight to outrange or dodge Kutums attacks.